A GROWING number of Londoners are forsaking the capital to seek better value for money by moving to other parts of the UK. A report by leading residential property firm Hamptons found that Londoners bought £30 billion worth of property outside the city last year, the most since 2007. In 2018, around one in five Londoners moved to the Midlands or headed further north. This compares with one in six (15 per cent) in 2015 and just one in 14 (seven per cent) in 2008. The housing exodus comes despite property values in the capital dipping by 1.67 per cent over the past year, suggesting that buyers believe prices are still over-inflated. Aneisha Beveridge, head of research at Hamptons International, said: “Historically, most people moving out of London have done so because of changing priorities, such as starting a family or generally wanting a slower pace of life. “Increasingly, as affordability in the capital is stretched, more households are looking beyond the confines of London to buy their first home. Of those who left London, over a third (37 per cent) settled in other parts of the south-east. Just under a third (32 per cent) settled in the east of England; and around a fifth settled in the Midlands, the north or Scotland. Londoner Susan Reynolds, who bought her first property in Winchester, said: “London prices were out of the question, so I decided to buy my first flat in Winchester as I have family connections there. Overall, Londoners bought 74,350 homes outside the capital in 2018, at an average price of £398,910. This was 3.8 per cent more than in 2017. With lack of affordability the biggest barrier to buying in London, estate agents are increasingly marketing property opportunities in cheaper outlying areas that provide good connectivity to London. However, with commuters across the UK facing an average 3.1 per cent cent rail fare increases this year – adding hundreds of pounds to annual travel costs in some cases – it is becoming crucial to know which commuter towns offer value for money. Internet mortgage broker Trussle has worked out which towns are the most affordable for those commuters who need to work in London but who can’t afford to live there. Trussle number-crunched property prices, mortgage payments, travel times and the cost of train season tickets for over 300 towns within a 75-minute rail journey of central London. It then calculated monthly mortgage payments by using average property prices in each area. Employing Office for National Statistics data, Trussle calculated the average cost of a commute. Once house prices, monthly payments, rail costs and travel time were taken into account, Trussle worked out which towns were most affordable. Apsley in Hertfordshire topped the league table due to its low house prices coupled with short commuting time, while the Surrey village of Oxshott was the least affordable thanks to its £1.7 million average property price. The town of Ebbsfleet in Kent, just 36 minutes by train from central London and with average house prices at a mere £243,000, came second. Tilbury in Essex came third thanks to its combination of reasonably priced yearly season ticket costing less than £50 per week, coupled with house prices averaging £240,487. Ishaan Malhi, founder and chief executive of Trussle, said: “House prices in London are unaffordable for a lot of people, so it’s little wonder that so many workers choose to commute from areas where they can get more for their money. Virginia Water was the second least affordable, thanks to its average property price of £1.2m and a gruelling 87-minute daily journey to and from London Waterloo. However, a lower-priced property doesn’t necessarily remain cheap forever, and this is particularly the case in commuter belts. In 2018, Zoopla, the UK’s most comprehensive property website, reported that house prices in Swanley, Kent, rose by 10.78 per cent or £36,484 over the period of one year. Since the cost of an annual train season ticket to London is about £2,500, Swanley commuters would therefore recover the cost in less than one month of house price growth. Commuters who don’t mind living an hour away from central London can save nearly 60 per cent on the cost of purchasing a property. This would apply to commuter towns such as Basingstoke, Crawley, Gravesend, Windsor and Northampton where properties cost around £483,342 less than those of a similar size in central London. The difference would fund a daily rail commute to and from the centre of the capital for 90 years. Even those living less than half an hour from central London in places like New Cross and East Croydon will pay around £295,075 less than they would on a similar sized property in the capital. Meanwhile, the total value of Britain’s homes rose by £83 billion in 2018. This uplift has added around £2,860 to the average price of a property, Zoopla said. The total worth of the nation’s homes is now over £8.2 trillion, its report found. The growth in value has happened despite uncertainty over Brexit and stretched affordability when comparing house prices with incomes – although some parts of Britain have seen values fall. Prices in Scotland have risen the most in percentage terms, with a 6.43 per cent increase. 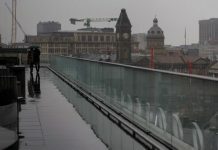 Wales was the second top performing region with a 3.98 per cent increase. The East Midlands was third with an increase of 2.91 per cent. In contrast, prices in London have slipped the most, falling on average by 1.67 per cent. Richard Donnell, insight director at Zoopla, said: “Values in London have grown significantly since 2010, but multiple tax changes and affordability pressures are resulting in values falling back. house price inflation across the UK fell to one per cent. films, where values fell by 6.6 per cent. Biggleswade in Bedfordshire, Nantwich in Cheshire and Eastleigh in Hampshire all suffered price deflation of five per cent or more. 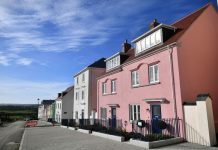 Donnell added: “This latest analysis into the value of Britain’s housing stock shows that while the overall value has grown, this is slower than the 3.5 per cent biggest growth in 2017. The single biggest factor affecting the property market in recent months has been uncertainty over Brexit, with most surveys pointing to flat or falling prices, especially in London and the south. Zoopla reports an overall fall of 1.7 biggest in London, while in the east of England prices dropped around 0.5 per cent over the year. Analysts also cite fears over Brexit as the cause of the sharp halt in property price growth in Ireland, where prices have flatlined for the first time in a decade. Despite the Brexit effect, real estate developer Robert Soning believes the UK property market has a sound future, particularly in the private rented sector.